Comprehensive Insurance – Covers damage to your vehicle caused by situations other than a collision. Comprehensive Insurance Explained: What The Hail Do I Do Now? You step out to a bright, sunny day after a storm has passed. You go to enter your nice, shiny new car only to find dents and dings covering it from the hail that fell as the storm front moved through. A sinking feeling comes over you as you look at your beautiful new car. As sad as this scenario is, there is hope! You purchased a Comprehensive Insurance Policy for your vehicle when you purchased it and now all is right with the world. In most states it is required that an individual must have liability insurance on their vehicle to be able to operate that vehicle legally. Some states take it even further stating that, if said vehicle is in any way financed, then it must also have Comprehensive Coverage. Now what does this mean for you if your car has been dimpled with hail damage and looks like a golf ball? Well, Comprehensive Coverage has been commonly referred to as “Full Coverage”. Essentially that means any damage to your car will be repaired to the fullest extent. 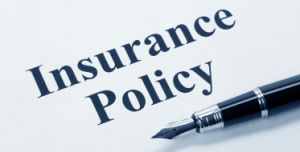 If it cannot be repaired, then it will be replaced (in some policies) or ‘totaled’ and you will be given a cash award in the amount specified in the policy. It begins with a phone call to your insurance company. Now, in the 21st century, it can be handled online, and an adjuster will make an appointment to inspect the damage and discuss your options. Then, in most cases, the vehicle in question will be taken to a local body shop or Paintless Dent Repair (PDR) Company for an estimate and then repaired. 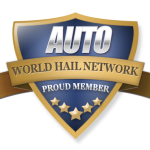 The body repair person will find out exactly what needs to be done to remove the hail damage and give you (and the adjuster) an approximate cost for repair and time of completion. Upon approval of the estimate, the body shop or PDR shop will begin the process of repairing what has been done by removing any body parts that would be easier repaired off the vehicle and inspecting for deeper damage. (If, in the extreme case, there were other damage, like a broken windshield, you and the adjuster would be notified.) The body shop would then begin the repair by sanding down the affected areas, removing the dings and dents they can, filling in those that cannot be and sanding again. When the area(s) are completely smooth, they match the paint on the vehicle, paint and sand, then paint and sand again until there is a smooth finish. A PDR shop would massage the dents out and there would not be any need for painting in most scenarios. At the end of the process there should be no way to tell if there had ever been any hail damage at all. The shop would then contact you and the adjuster for a final inspection and, upon approval, the adjuster would sign off on the repair and you would drive away in your refurbished car. All of the repairs would be covered by your comprehensive insurance policy less your deductible. So, as the old saying goes, “Plan ahead; it wasn’t raining when Noah built the ark.” It’s always a good idea to ‘Plan Ahead’ and purchase a comprehensive coverage insurance policy on your vehicle so you won’t have to worry about what the ‘hail’ to do! Read about the next term: Conventional Repair / Conventional Dent Repair – The process that body shops use to fill dents. Find a repair company in your area now that you understand comprehensive insurance policies!